Can this user watch this or that stream? Did he buy "ticket"? Can this user publish this or that stream? For how long can the user watch / publish the stream? The administrator interface of Wrench allows you to monitor the list of people currently watching your stream and optionally kick off any user by username who deserves it. Wrench ships as a single .jar file named as wrench-yyyy.mm.dd.jar that you can download from here and then you need to copy it into the lib directory of your Wowza installation. On Windows systems this is typically at C:\Program Files\WowzaStreamingEngine\lib and on Linux installations this is at /usr/local/WowzaStreamingEngine/lib. If you plan to connect to any database in your setup (this is quite typical, but recent versions allow you to work with external webservices instead of database) you need to download it's JDBC connector jar file and put that also into the lib directory. In the FAQ section you can find a table with the download links for most typical databases. You need to restart the whole Streaming Engine using the restart button on the right hand side that is visible when you choose "Server Setup" so that the new jar files are loaded. 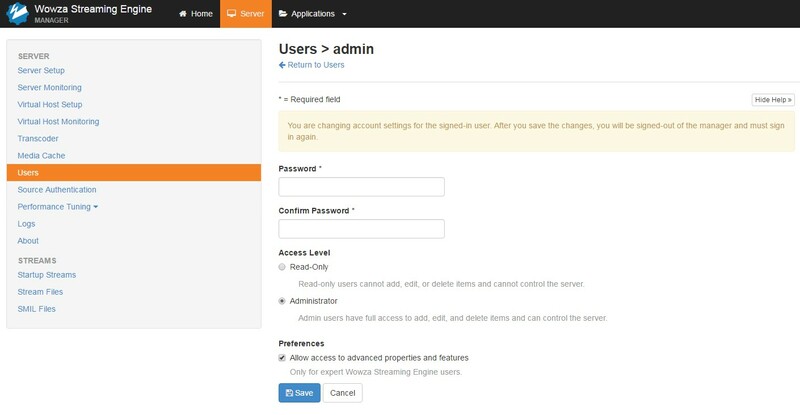 You need to create your own streaming application using the Manager interface. There are archetypes for live streaming and video-on-demand (vod), as well as for edge and origin. These differ in some key configurations, so make sure you pick the right one based on the help documentation of Wowza. In this example I am going with a new Live (single server or origin) application which I'll call "wrenchexample2". 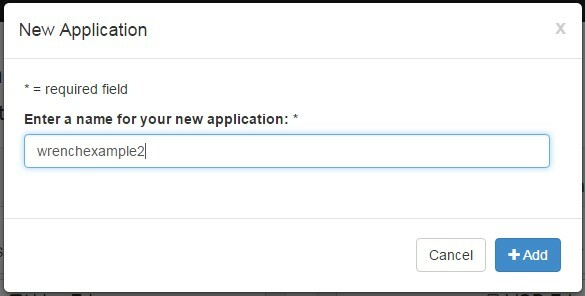 Restart the application as suggested by the popup message. You might need to edit the hostname and the port to match your system and it only works if you have HTTP streaming enabled. Otherwise you can push your stream from your encoder or use the test players to trigger the application. 20:42:24 WMSLogger wrenchexample2 INFO - No JDBC driver is specified, going to no-database mode. SQL dependent features will not work. Starting from version 2016.01.01 Wrench comes with a handy UI where you are able to edit it's configuration on the fly. The configuration is technically persisted in the Application.xml file but this saves you from manually editing the xml file, which is error prone. The UI is not enabled by default, that is what you can see in the logs too Wrench web UI is not enabled. 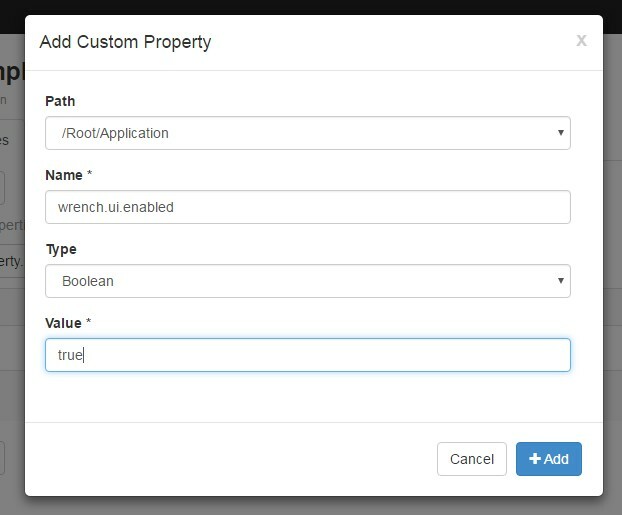 To switch it on, you need to add a custom configuration property to your application. 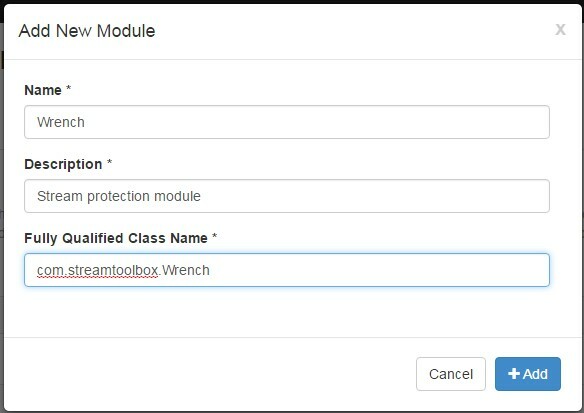 Navigate to the Properties tab of your wrenchexample2 application. By default the UI will be available on port 4567. You can change this by adding an optional integer parameter called wrench.ui.port˙. There is a sea of configuration paramters to tweak here, please refer to other tutorials for instructions on setting up typical security scenarios for password protecting your HLS or MPEG-DASH streams, or to implement pay-per-view or pay-per-minute.